Entrepreneur Jared Goetz addresses the spirit, mindset and traits required for self-made success. BOCA RATON, FLORIDA, UNITED STATES, March 22, 2019 /EINPresswire.com/ — With more and more of us now looking for self-made success, aspiring business owners and start-up founders alike—both in the U.S. and globally—are driving higher-than-ever rates of entrepreneurship. Here, serial entrepreneur Jared Goetz shares the importance of an enterprise-focused mindset in both achieving and maintaining excellence in business. "To succeed as an entrepreneur you must be optimistic," suggests Goetz. "Rarely does an individual achieve success while harboring negative feelings, and it's my belief that a positive and confident outlook is vital if a person is to make it as an entrepreneur," he adds. "Two key areas of focus for those looking to achieve a more entrepreneurial mindset should be optimism, as above, and passion," Goetz continues, "with a passionate, enthusiastic outlook being truly fundamental to fostering a successful business environment." A passionate, enthusiastic approach is also, he says, contagious, and one of the best ways in which to instill the 'entrepreneurial mindset' into others, which is particularly essential when growing a team, according to the expert. Another trait required for success as an entrepreneur, according to Goetz, is self-belief. "Self-belief directly translates into a readiness to take a variety of calculated risks," he explains, "which, as any experienced entrepreneur will tell you, is largely essential to success." It's also important, says Goetz, that aspiring entrepreneurs continue to push themselves at every stage of their journey. "From day one to day one-thousand and beyond, success rides on being, or becoming, a go-getter, and believing in oneself at every twist or turn in the road," he adds. "Never be afraid," Goetz continues, "to take a leap of faith, particularly where the potential rewards are significant." A desire, in business, 'to execute,' says the serial entrepreneur, is not only vital but also one of the most common traits seen in those who have already achieved the so-called entrepreneurial mindset. "Be prepared to act on ideas as soon as they come to light," Goetz adds, wrapping up, "and with the right level of optimism, enthusiasm, and self-belief, the dream of succeeding as a self-made individual can become a reality." 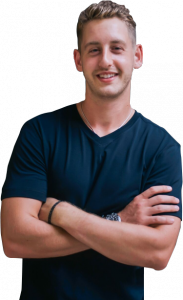 Jared Goetz is a serial entrepreneur known for his e-commerce success and for building the eComHacksAcademy, one of the world's largest e-commerce education platforms. Featured in publications including Entrepreneur, Inc., CNBC, and Forbes, Goetz has earned exposure to numerous coveted entrepreneurs and has grown his professional network to include hundreds of like-minded and successful businessmen and women. Proud owner of a Weimaraner named Nula, Goetz's other passions include golf, world travel and international cuisine.